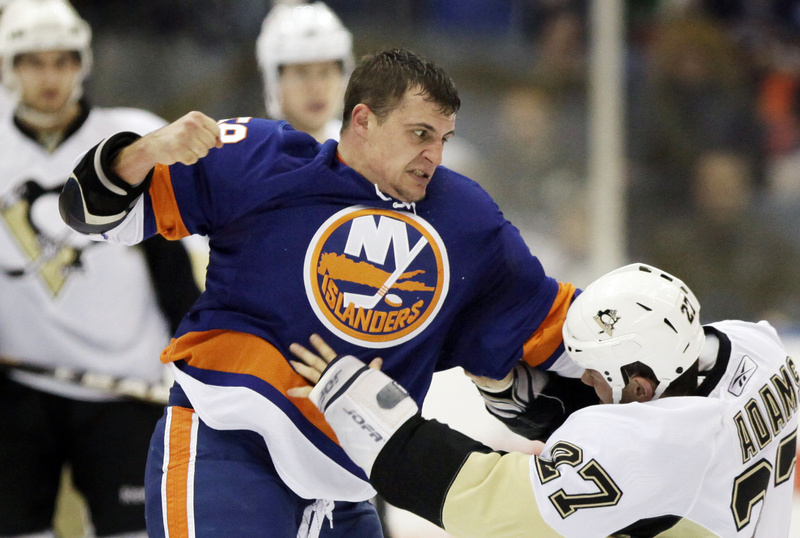 NEW YORK — Pittsburgh Penguins owner Mario Lemieux said the NHL failed in its punishment of the New York Islanders following a fight-filled game between the teams – and went so far as to question whether he wanted to stay in the league. Lemieux, who had a Hockey Hall of Fame career with the Penguins, issued a statement Sunday in which he bashed the league’s handling of the aftermath of Friday night’s 9-3 Islanders victory in which there were 346 penalty minutes, 10 ejections, 15 fighting majors and 20 misconducts. “Hockey is a tough, physical game, and it always should be. But what happened Friday night on Long Island wasn’t hockey. It was a travesty,” Lemieux said. Lemieux, who bought the team in 1999, said the sanctions weren’t nearly enough. “The NHL had a chance to send a clear and strong message that those kinds of actions are unacceptable and embarrassing to the sport. It failed,” he said. “We, as a league, must do a better job of protecting the integrity of the game and the safety of our players. We must make it clear that those kinds of actions will not be tolerated and will be met with meaningful disciplinary action. The NHL stood by the punishments handed out by league disciplinarian Colin Campbell. Pittsburgh forward Eric Godard was the only member of the Penguins’ organization to be punished by the NHL. He received an automatic 10-game suspension because he left the bench to join a fight between New York’s Micheal Haley and Penguins goalie Brent Johnson. Pittsburgh also avoided a fine by the league. That drew the ire of Islanders general manager Garth Snow. Asked if the punishment was fair, Snow said Campbell had a tough job and he would never criticize him.